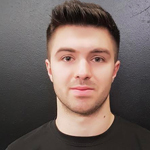 Claudiu Physiotherapist | Breathe London. Claudiu has graduated with a first class degree in Sports Therapy from University of Northampton. He is a fully qualified X-ray technician able to take and analyse X-ray images and is a specialist in injury diagnosis and rehabilitation. Previous experience includes working with professional football clubs including former Premier League champions Leicester City and within private care.